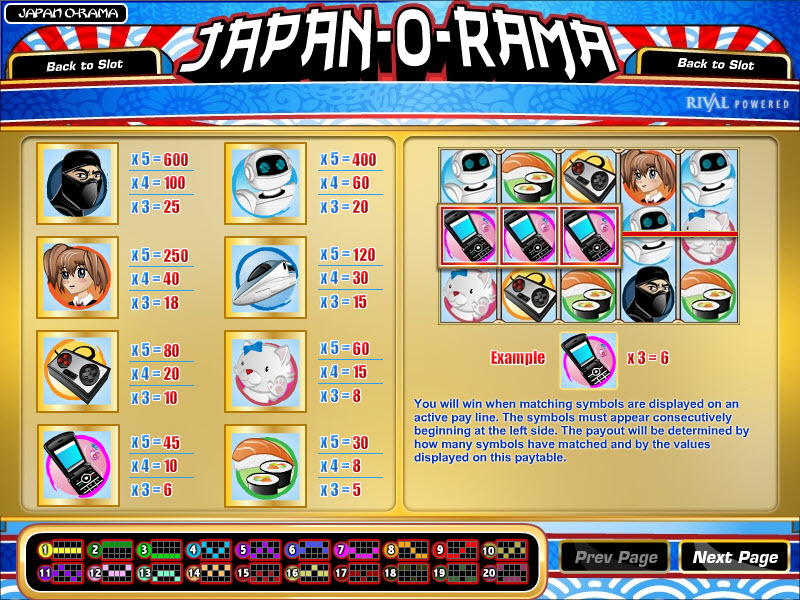 Overview: Konnichiwa! 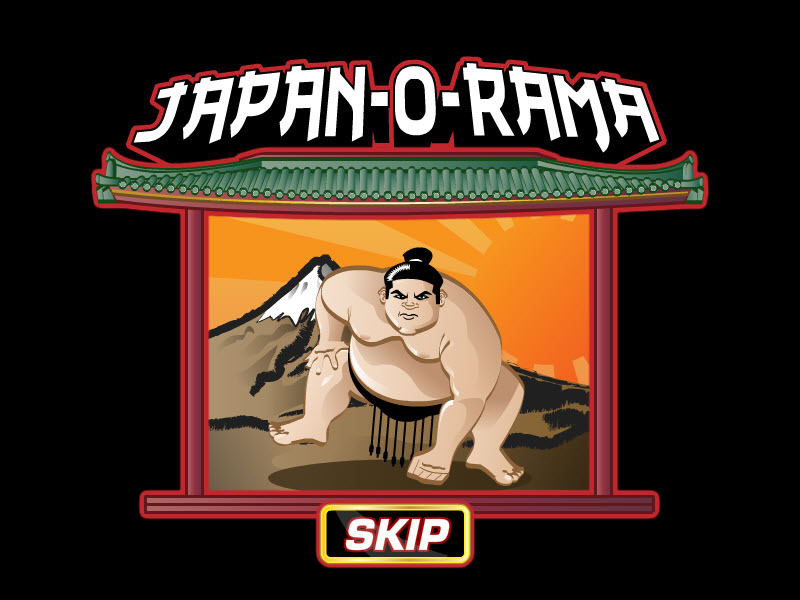 Inspired by the popular culture of the land of the rising sun, Japan-O-Rama captures the vibrant offbeat nature of the Japanese. 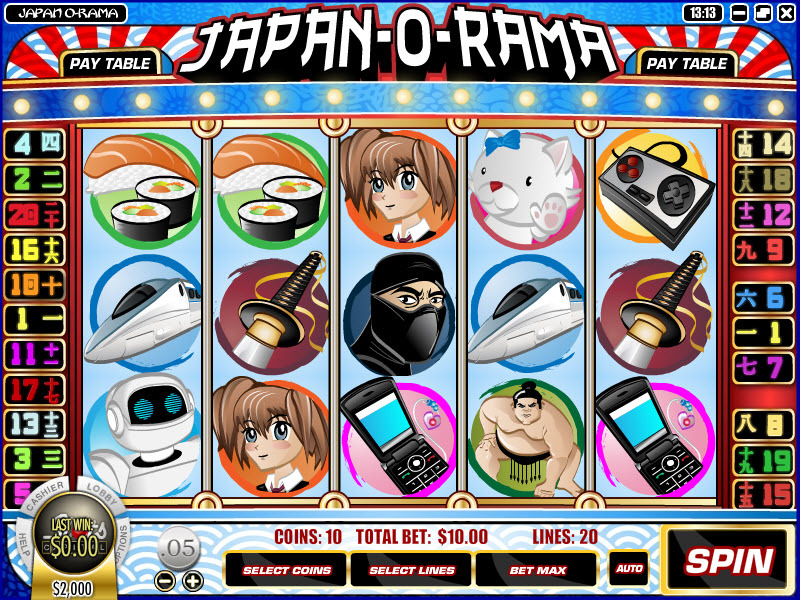 The flashy slot features ancient cultural icons such as Katana swords, Sumo Wrestlers, Geisha and Ninjas; As well as Modern day representations like Anime, Video games, Cell Phones, the Bullet Train, and a giant lizard that likes to stomp down Tokyo. 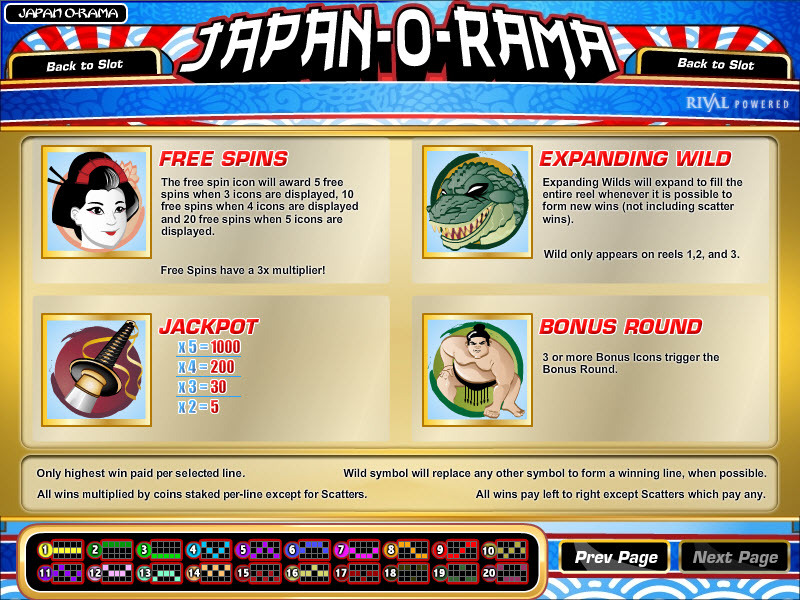 Similar Slots: If you like Japan-O-Rama, you might like these other Rival-powered i-slots: As the Reels Turn 2, Fixer Upper, Heavyweight Gold, Psychedelic Sixties, Reel Crime - Art Heist.